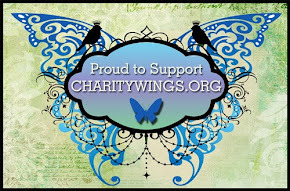 We have another great FREE online class for Charity Wings Art Center members coming up on Wednesday Sept. 25th at 6 pm Pacific. Your teacher will be the amazing queen of girlie grunge, Donna Salazar, and she’ll be teaching you how to make these super cute cards! 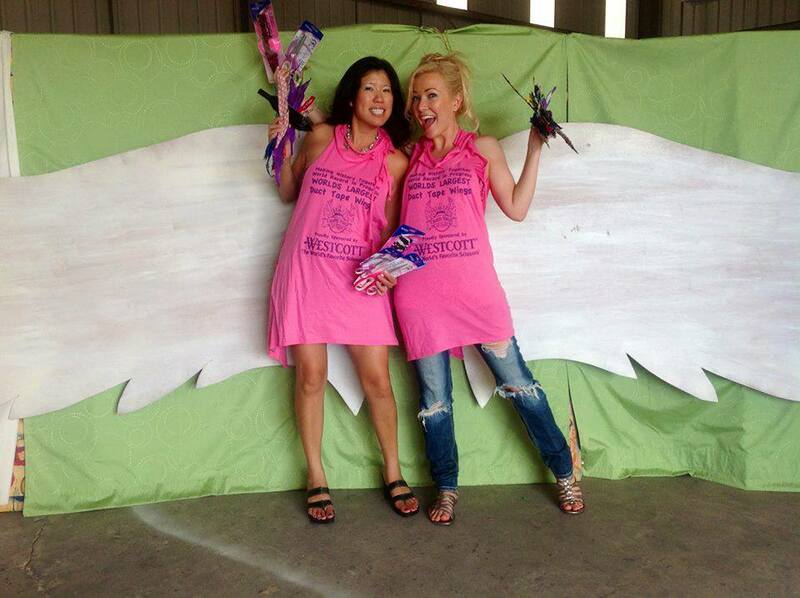 If you don’t have a Charity Wings Art Center membership yet, you can get one for as little as $10 a month! You get a free monthly online class, free monthly digital download, and more! That’s right our very own Elena will be your host for Cre8time Live, an online streaming event direct from the CHA Connected Gift Lounge at the 65th Emmy Awards. 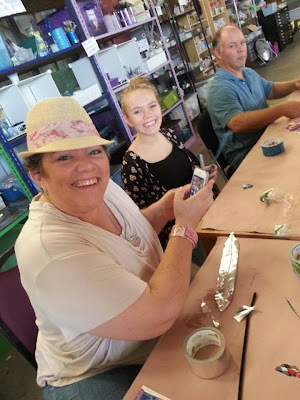 She’ll be interviewing craft manufacturers, celebrities, and guests throughout the day and we’ll be bringing this FREE event to you LIVE on Saturday, Sept 21st from 11 am to 4 pm Pacific time. Join us for all the fun and celebrity spotting! 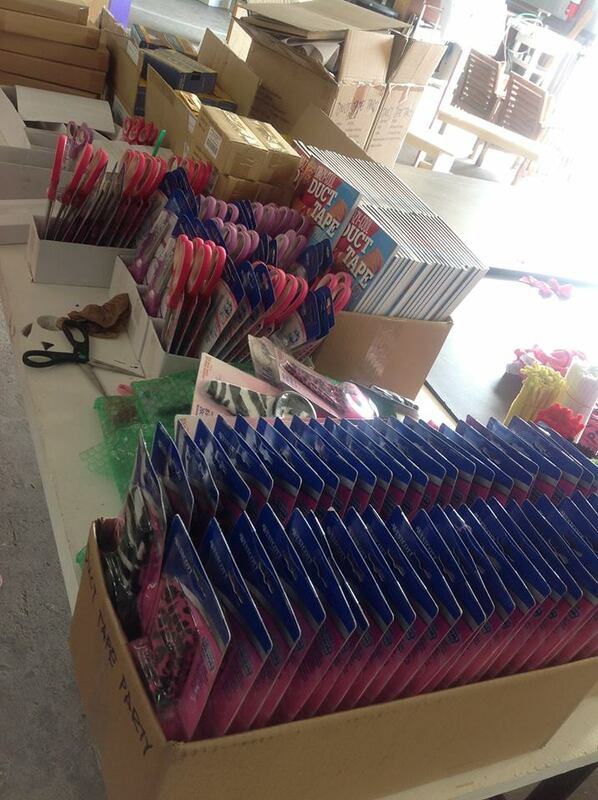 Oh and did I forget to mention the FREE prizes??? Yessiree, if you are present on the LIVE stream with us, you’ll be eligible to win some of the very same swag bags being given out to the celebrities in the CHA Connected Gift Lounge! Keep up on all the CHA at the Emmys action by following the official hashtags of the event: #CHASwag and #CraftingtheEmmys on Twitter. And of course, be sure to join us for Cre8time Live from the Emmys by logging in here at show time! 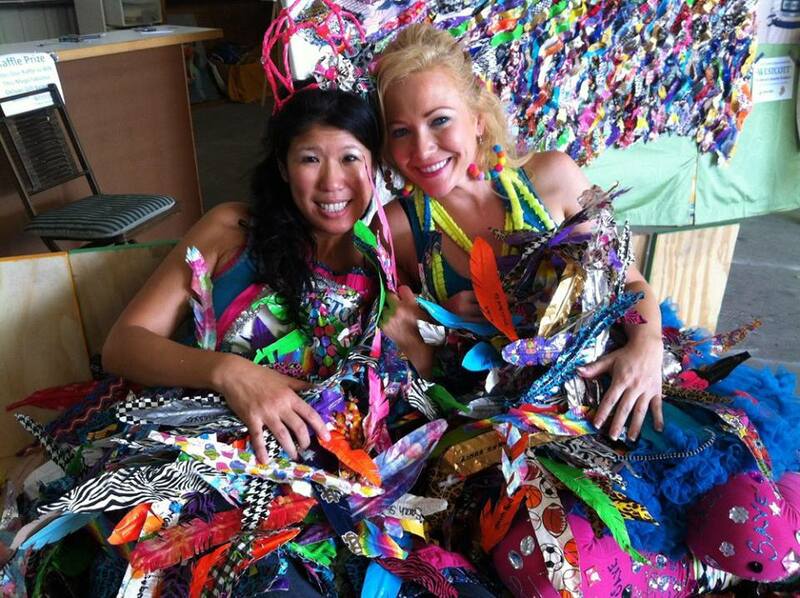 World's Largest Duct Tape Wings: We Did It! We did it!!! As many of you know over the Labor Day weekend we achieved our world record of creating the world's largest pair of duct tape wings. Thanks to so many of you along with our generous sponsors, Charity Wings Art Center created this world record art installment, that will now hang at the art center. We also had the awesomely talented Marisa Pawelko. 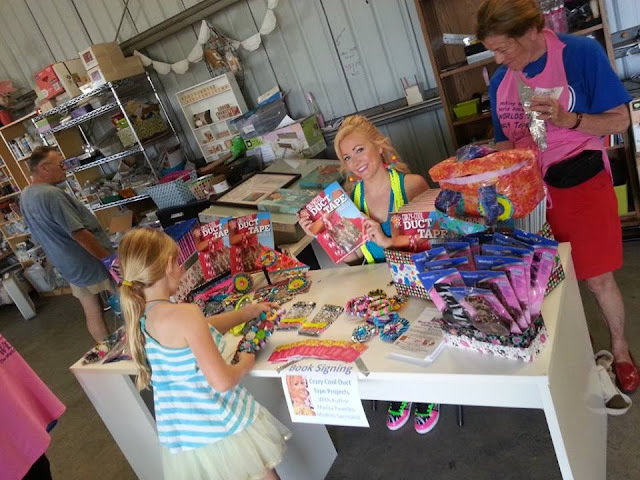 Our beautiful hostess shared her fun and creative style with all of our guests. 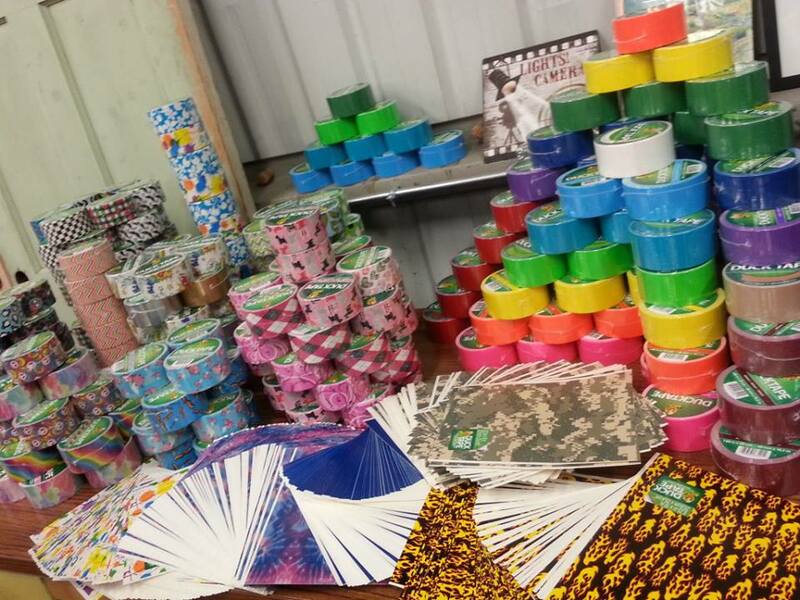 Everyone had a blast making duct tape feathers to add to the wings and we had well over 1900 feathers sent in!!!! A large group of them came from Duct Tape Enthusiasts International!!!! 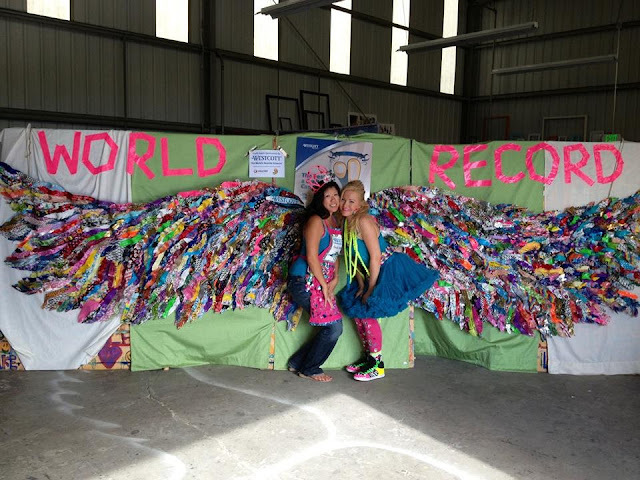 We thank everyone for sending in their feathers, we couldn't create this world record with out you!! There were so many different styles and designs which made our wings that much more unique. We also had make and takes. Everyone was having a blast. Until next time stay creative!!!! Ruth even made herself an outfit to match the project we were making in class. The pictures don’t even do it justice – it is truly a work of art! 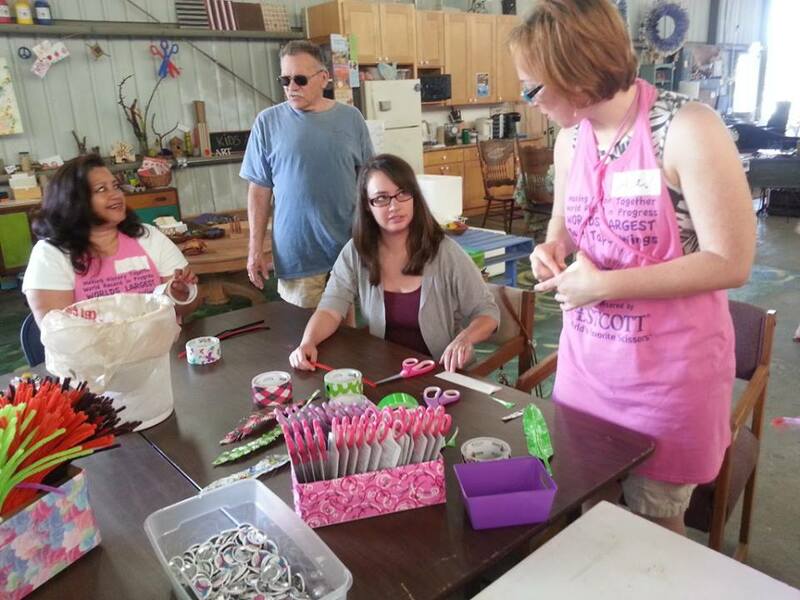 We had so much fun at the Ruth Rae class at the Charity Wings Art Center over the weekend. She is so talented and such an amazing teacher! The attendees walked away with some fantastic new information, tips, and techniques. 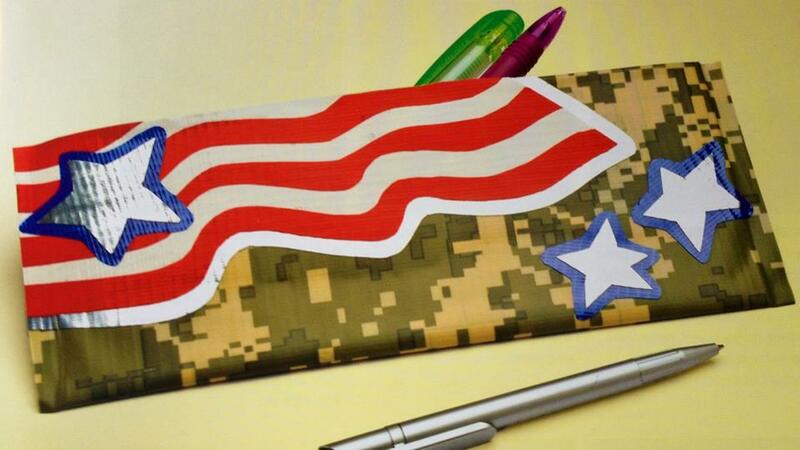 Even our class kits were pretty – like little gifts waiting for each of us to open! Ruth is a very patient and skilled instructor. She finds ways of making her projects easy and accessible for others. Here is Ruth sharing her techniques for dyeing fabrics and trims. Check out Ruth’s blog for more inspiration and ideas!